5x5 Shogi (MiniShogi) is a variant of Shogi (Japanese chess). Compact and speedy chess like game. 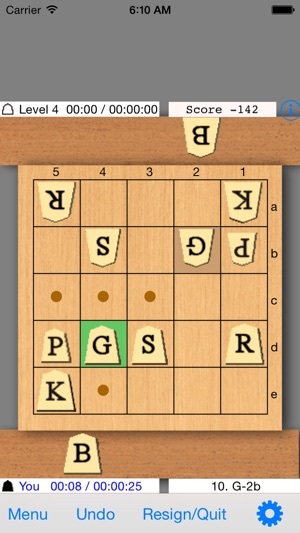 A player can use (drop) captured pieces. This rule makes this game complicated and profound. 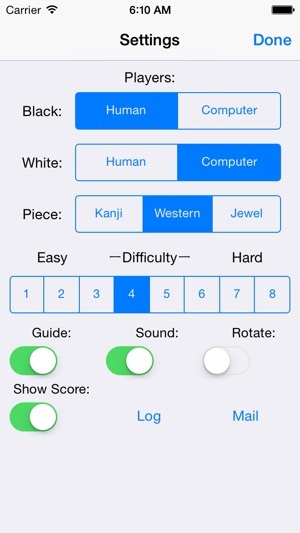 5x5 Shogi is very compatible with iPhone/iPod. 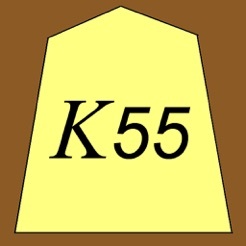 K55 (PC version) have won Computer 5x5 Shogi tournament 2008, 2009. - Human vs. computer, human vs. human, computer vs. computer. - 8 levels of computer play. - Choose Western or Japanese pieces. - Show the legal moves of the selected piece. - Show history of moves. 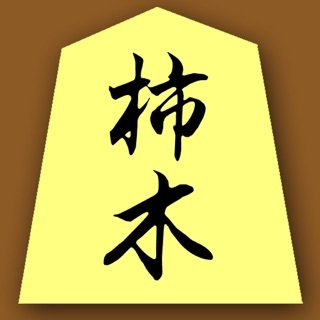 - Help about 5x5 Shogi rules. - Fixed a freeze bug on iOS 8. - Fixed a bug (Menus were in English on iOS 9 in Japanese environment). When this came out I emailed the author and he said that he was working on a full shogi game. I hope it's soon cause I'm getting impatient. It needs to be upgraded to full shogi. 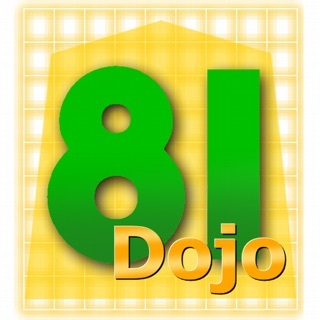 Full shogi is 9 by 9 and this is only 5 by 5. It is also missing some pieces. Real shogi also includes 9 pawns two lances and two knights(different than chess.) this app will have my full approval if it upgrades. 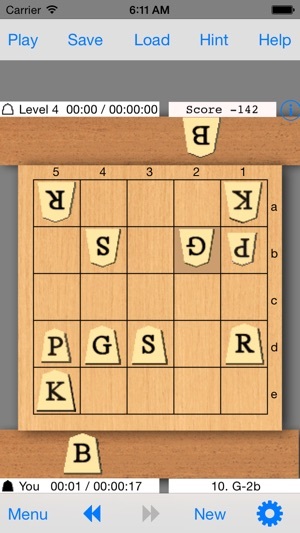 Very glad that someone decided to make shogi though.